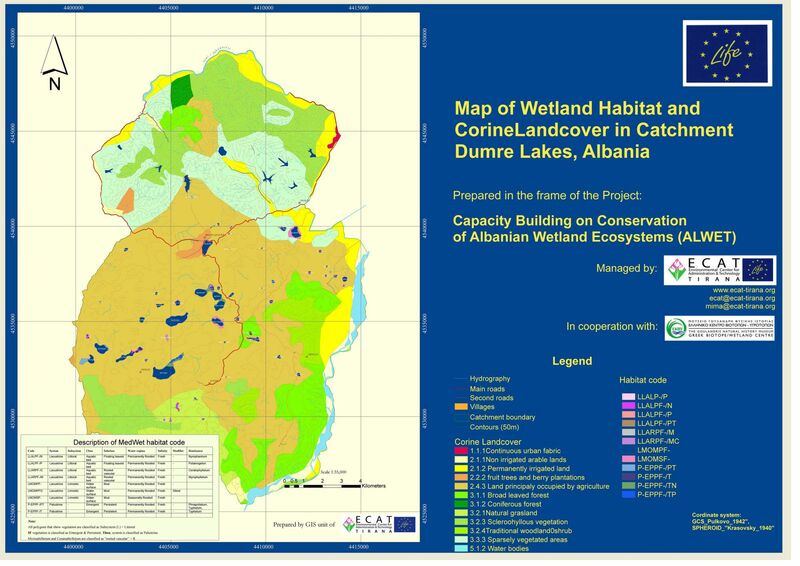 The Project "Capacity Building on Conservation of Albanian Wetland Ecosystems (ALWET)" which is financed by the Life Third Countries and co-financed by the General Directorate of Forestry and Pastures, is jointly executed by the Environmental Centre for Administration and Technology (ECAT Tirana) and the Greek Biotope-Wetland Centre (EKBY Greece) with the support of the Albanian Ministry of Environment. Download the ALWET Layman's report. 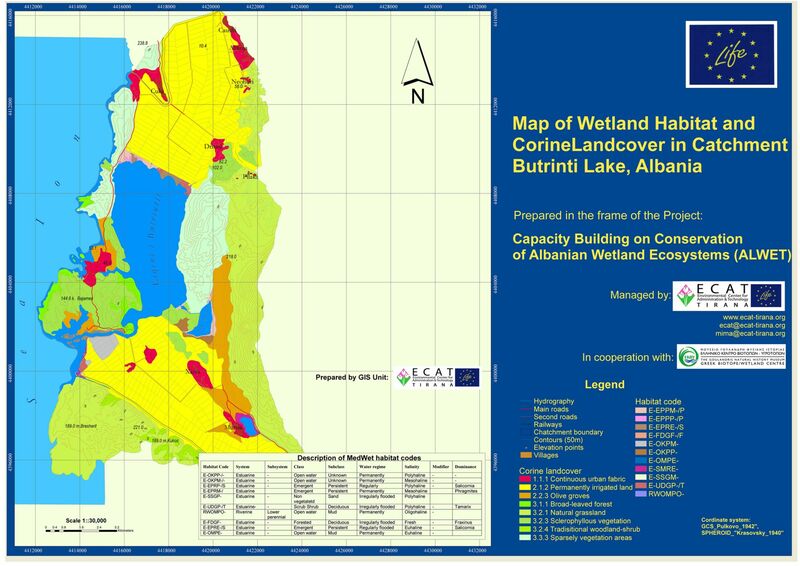 Download the final habitat maps of Butrinti, Dumrea and Small Prespa wetland sites. 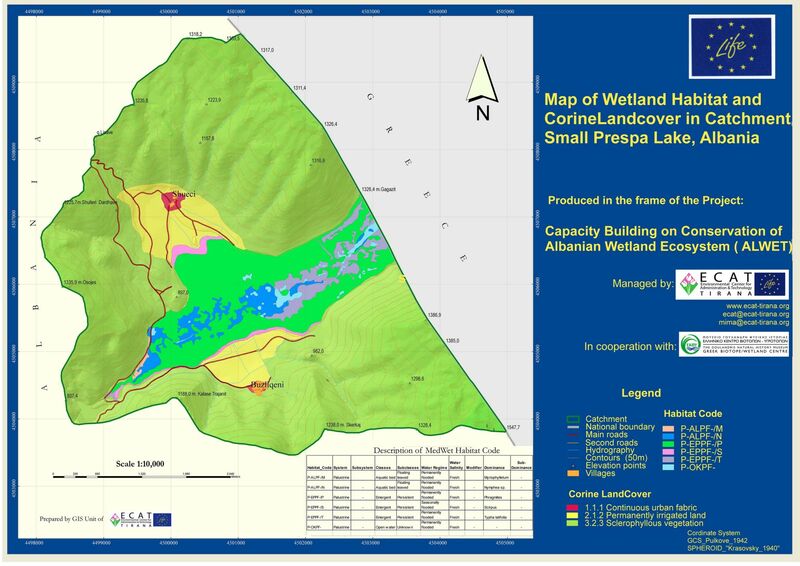 The Technical Publication of the Project results has been released. Download the pdf file.